One of the biggest defensive zone breakdowns happens when the opposing team moves the puck from the corner, up the boards to the half wall. Chances are that the strong side defenseman was pressuring hard when the puck was in the corner and in an aggressive frenzy, continues to chase the puck up the wall. At this point, the defenseman is now doing the centerman’s job and will be overstepping onto the strong side wingers responsibility as the puck goes toward the point. The ability to think in terms of quadrants and understand pressure, versus support responsibilities is the key to all defensive zone success. The decision to stop pressuring/pursuing the puck and jump back onto the D side of the puck for support has to happen ahead of time. Watching the opposing forward walk toward the hash marks and then deciding to get back to the defensive side of the puck is too late. The minute the forward has control of the puck and any carrying momentum, the strong side D needs to get a jump toward the faceoff dot. The second largest defensive breakdown happens when the weak side defenseman is late getting to the new strong side corner as the puck is carried or rimmed around. There is definitely a lot going on to stay under sticks and box out the man in front, but the old cliché “head on a swivel” are words to live by. 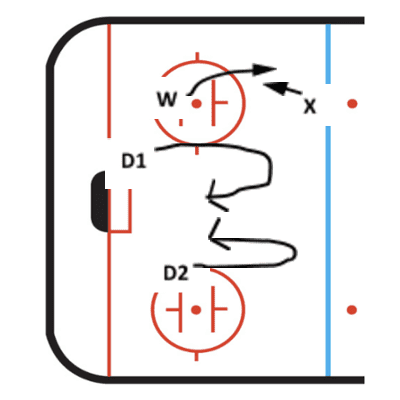 If the weak side keeps things simple to staying on the D side of the forward in front with stick under stick to lift at the right time, there will be more awareness of what the puck is actually doing, allowing the D to get a jump when the puck switches corners. Most D become too preoccupied with physically tangling up with the forward in front that all their attention is wasted on a player who is not yet a threat. 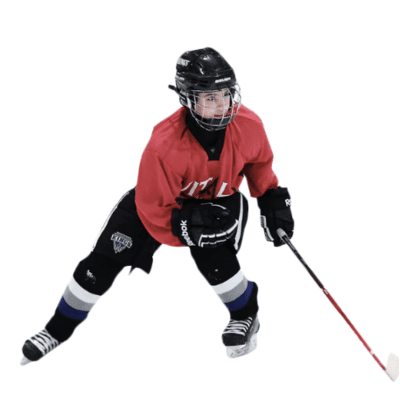 Communication and reassurance from the strong side D partner that it is ok to leave the front of the net and pounce on the far corner helps the weak side D feel more confident on any proactive decision making. One of the biggest comments a D will give when asked “Why did you wait so long to get to the corner?” is “My partner wasn’t at the front of the net yet”. A little “I’m on my way” yell helps a lot as people process auditory stimulus and react a lot faster than when they have to process visual and wait to actually see their partner arriving a safe distance from the net. 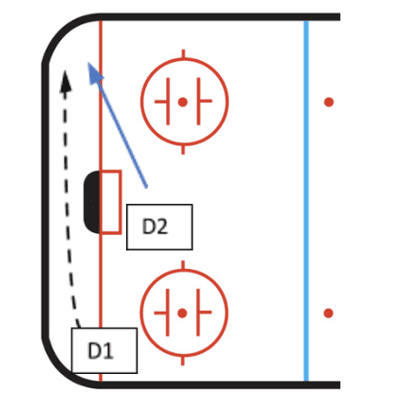 The best proactive decision a D can learn to make in the D zone is to anticipate when their team is about to lose possession and turn over the puck. 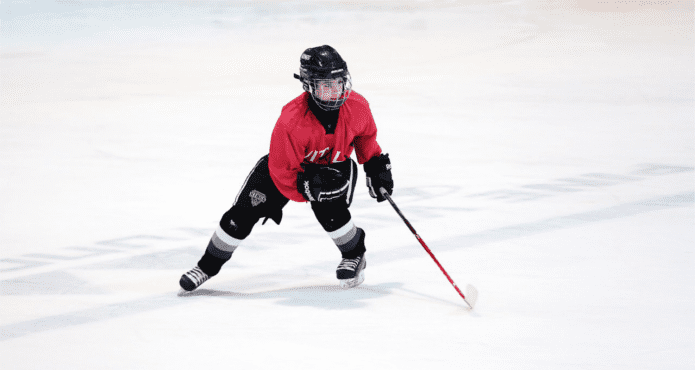 A defenseman’s job is not done once they make their breakout pass, it actually just begins. Doing a great job to regain possession of the puck and move it north is important, but meaningless if the D is overzealous to join what appears to be the start of a successful rush. Both defensemen need to be sensitive to the forecheck pressure and probability of an accidental turnover. 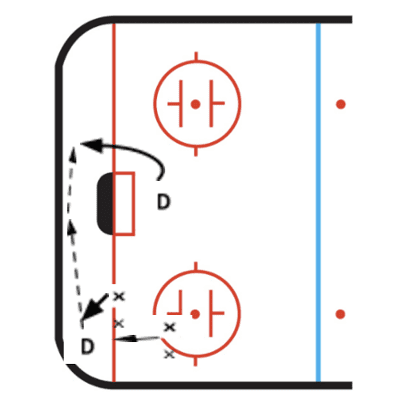 Whether it’s intuition or familiarity with past situations, the D needs to make it a habit to get back between the dots and ALWAYS pivot toward the middle at first sign of trouble to protect the house and regain control of the mid-lane of the ice. It’s important to even take another step or 2 toward the play in order to seal off the gap. Most weak side D protecting the front of the net don’t realize how invaluable the weak side winger is. When outnumbered in front, a defenseman needs to be vocal and call for backup. 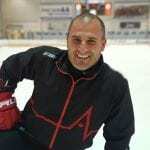 Get the winger to collapse low and help out to even out the playing field around the crease. It is much easier for a winger to telescope out and front a point shot, then to scramble to collapse last minute. Being vocal is huge in this case because as mentioned previously, a winger would take significantly longer to respond to the visual stimulus of an extra forward in front versus responding quickly to the shout out from a defenseman. When a D partner on the strong side is in trouble, too many D are reactive when it comes to helping out. They wait until their partner manages to struggle out of the scrum in the corner, but by that time their partner is under so much pressure, they aren’t able to successfully pass. The solution is simple: The second there is doubt of puck possession and the D partner is unmanageable pressure, the D needs to drop quickly behind the net as a passing outlet. Once again, dropping behind the net is of little use without a verbal alert to the struggling partner to let them know someone is available.